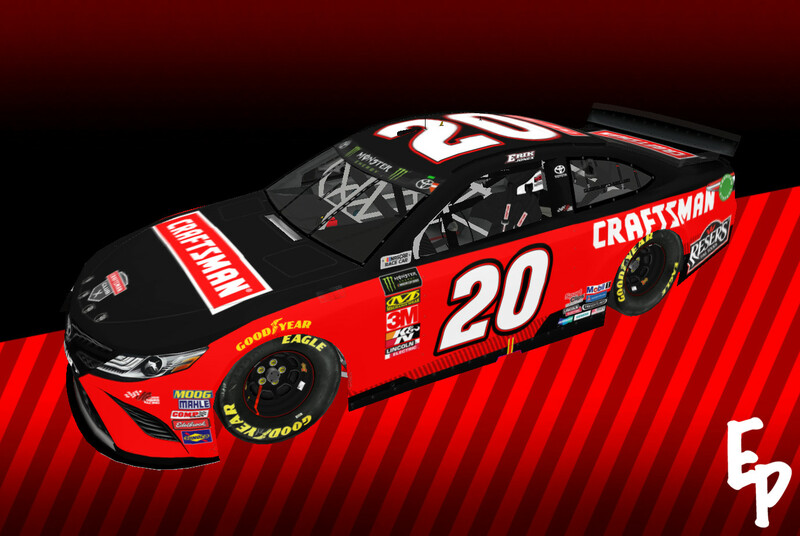 Template: Splash N' Go; Logos: Google Images; Numbers: Big Evil Racing; Pantallica on Stunod Racing This replica is dedicated to Jason Dean Gibbs (1969-2019), former tire-changer, driver, president, and co-chairman of Joe Gibbs Racing. Thank you for all of your contributions to one of stock car racing's greatest teams. Rest in peace, J.D.